These rolls adds an all-new dimension to the simple manchurian. Serve it with the lovely sweet and sour sauce, schezuan sauce and salads to experience a uniwue melange range of flavours. Ofcourse, don't forget the stir- fried rice to complete the chinese experience. Don’t know how to induce your kids to eat protein-rich rajma? offer them rice flour rolls with a lip-smacking rajma filling, topped with curd dressing, and watch them relish the experience. Make the rotis just before serving to prevent them from turning chewy. 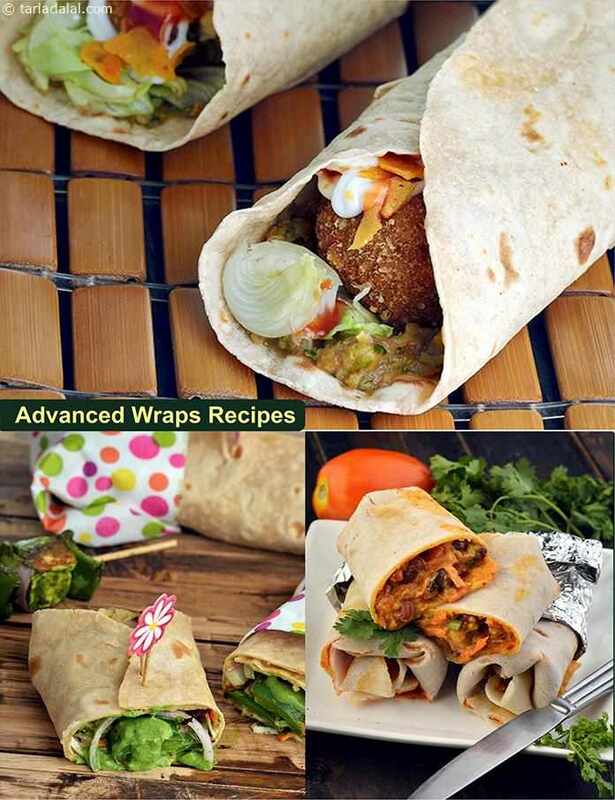 This marvelous wrap is a delightful confluence of indian and middle eastern cuisine. Tahini, a delectable sesame seed based sauce combines beautifully with the veggies cooked in an indian manner. By rolling it in spinach rotis, the iron, calcium and fibre content has been increased substantially.